Well, the time has arrived. 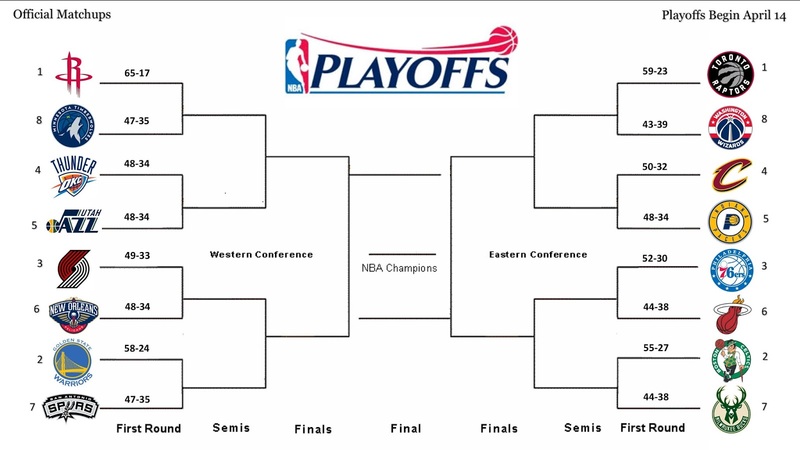 The NBA playoffs are set. The first round is set. The 16 teams that will battle for a championship are set and we have some interesting matchups. For the first time in some years, a Lebron James led team is not a top 2 seed in the East. Usually this would be cause for concern, and it is slightly, but most of us have faith in Lebron and the team he will lead, who still managed to make it to 50 wins and the 4th seed in the East. The Golden State Warriors aren't the no. 1 seed in the West for the first time in 3 years, but they finished just shy of 60 wins in a season where Steph Curry missed 30 games and their big 4 was out for an extended period of time. The Houston Rockets and the Toronto Raptors have the no. 1 seed for the West and East respectively, but does anyone really believe either team is championship bound? 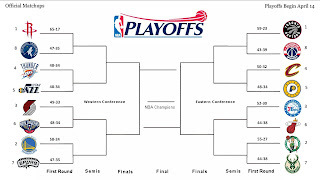 With that being said, let's take a look at these first round matchups and how they could end up. The East is tougher this year. Not by much, but slightly tougher. The Cavs, my personal prediction to be no. 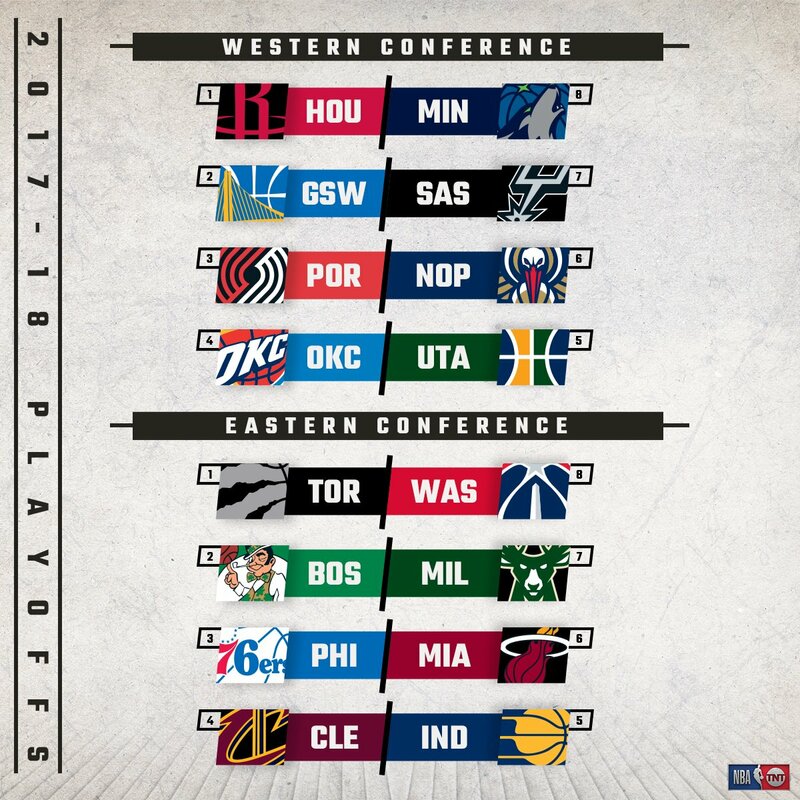 1 or 2 in the East, are 4th and it is actually pretty interesting to see. Will the East run through Lebron James again? Will the Celtics pull off an upset? Let's take a look. -This is a shocker. The Wizards are actually lower than I expected. They have no momentum and no rhythm, and John Wall might not even be fully healthy. 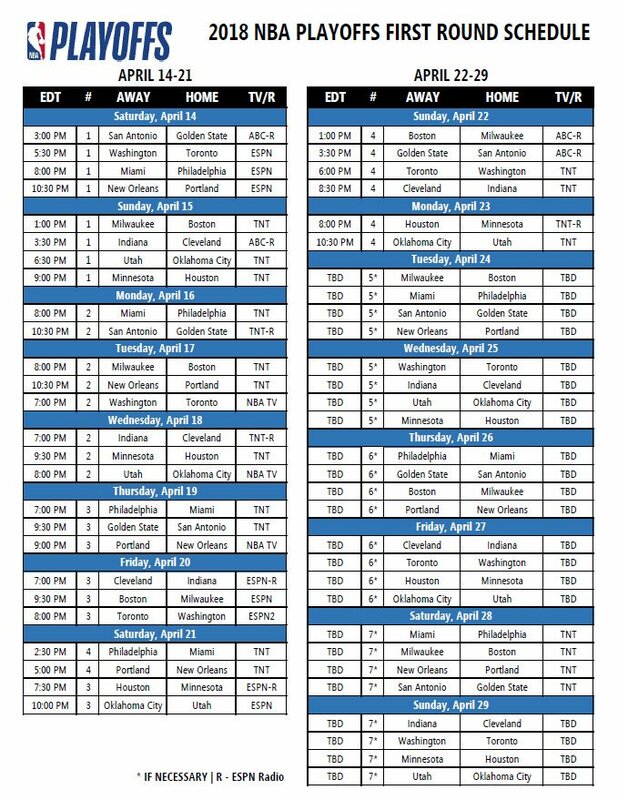 In many ways, this season seems like a write off for the Wizards, as making the playoffs as the 8th seed has to be a disappointment for a team that was only one win away from the Eastern Conference Finals last year. 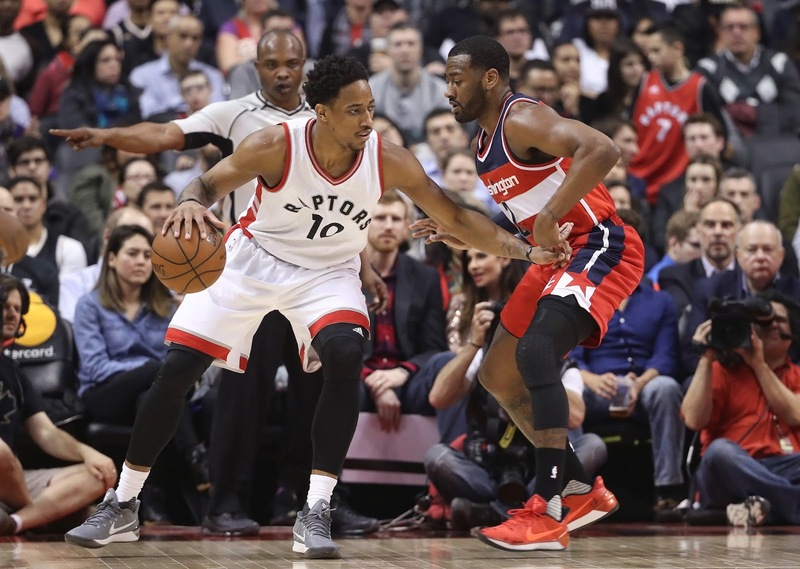 For the Raptors, this is the time where they need to show that they can do what needs to be and win in the playoffs. Will Kyle Lowry show up? That remains to be seen but all signs would point to no considering his inconsistent play in the second half of the season. Lowry is without a championship pedigree or the ability to turn it on and flip a switch, so that will be a key factor in this series. 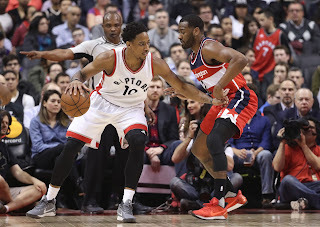 If I had to pick a winner in this series, I would go with the Raptors, but the Wizards finding rhythm out of nowhere and upsetting the no. 1 seed would not shock me. Still, this should be a hard fought series either way. *(2) Boston Celtics vs (7) Milwaukee Bucks -I am torn on this one. The Celtics have no Gordon Hayward. They have no Kyrie Irving. They don't even have Marcus Smart. So, how in the world can they win this? It all comes down to Brad Stevens being the best coach in the NBA today. His defensive sets and focus as a coach is what got the Celtics to a 55 win season, their best mark since the Big 3 era with Garnett, Pierce, and Ray Allen. However, this is NOT their year. They won't make the Eastern Conference Finals and that's okay. They still have a solid roster with Jaylen Brown, Jayson Tatum, Al Horford, and Terry Rozier being leaders of that, but that core is only good for one series win at best. As for the Bucks, they have so much talent that is going to waste. Giannis is going to show up, but will Jabari Parker? Will Malcolm Brogdon? What will Eric Bledsoe do? 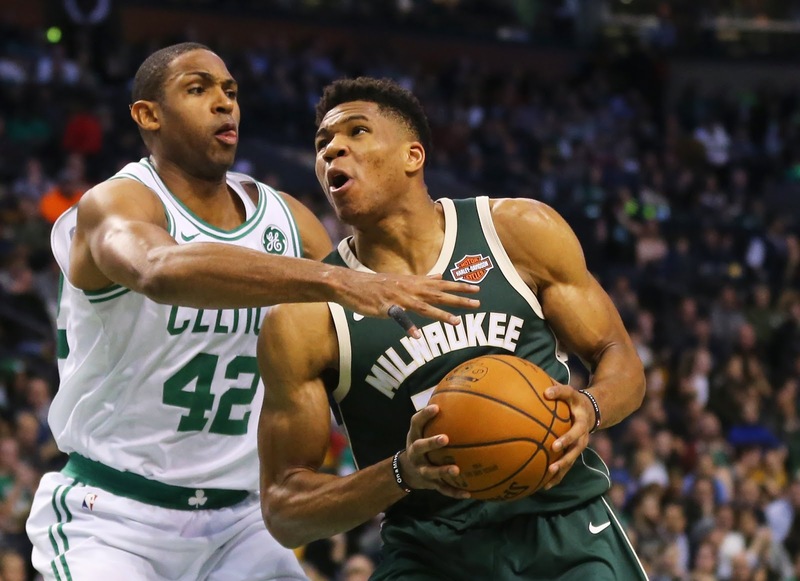 Can Khris Middleton bring havoc to the Celtics top ranked defense? On paper, this should be an easy win for the Bucks. Yet, coaching wise, there are only a few teams who have a top tier coach and the Bucks aren't one of them and they happen to be facing quite possibly the best coach today. The Celtics manage to pull off a hard fought win in this series, which will likely be a huge reason to champion their bright future in the coming years for sure. -This is a tough one. I like the defensive intensity of the Heat this year and Dwyane Wade gives them the pedigree they need to have postseason success. 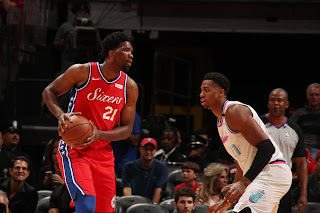 However, the offensive and defensive intensity of the 76ers make them a dangerous threat who seem to be finding their rhythm at the right time. If Joel Embiid becomes available to play in this series, I predict the Sixers will win this series in convincing fashion. If he misses a game or two before returning, then I will give Miami a chance. Still, talent overrides everything in some cases and while Brett Brown isn't a proven coach, he has managed to get the most out of Ben Simmons, Joel Embiid, and even the recently returned Markelle Fultz, which could be a good sign for Philly. Could the 76ers be the surprise success story of the East this year? It is possible. Miami could steal the victory here, but the 76ers seem to be on a mission. 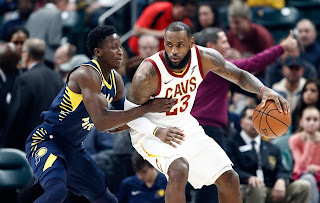 (4) Cleveland Cavaliers vs (5) Indiana Pacers -If I were a fool, I would say Cavs in 4. However, despite Lebron's playoff acumen, something tells me that the Pacers will give him a slight challenge in the first round. Their roster is solid and despite Victor Oladipo not being a proven playoff leader, the Pacers have shown that they can win even when he's not always on. That is a team that is dangerous. The Pacers seemed to have the Cavs figured out in the regular season, but the playoffs are a whole different animal. I think we will see the Pacers steal a game or two, especially one in Cleveland, catching the Cavs off guard (especially with the lack of defense on that Cavs squad), but Lebron and Kevin Love will do more than enough to propel the shaky Cavaliers to a first round victory. It'll just be tougher than what Bron has had to deal with the first round before. Now, the West is of course the tougher conference in the NBA. Aside from the two top teams, everyone has scratched and crawled their way to a playoff spot. Seeds 3-8 had to battle all year round for this, so now the question is, who advances to the second round. 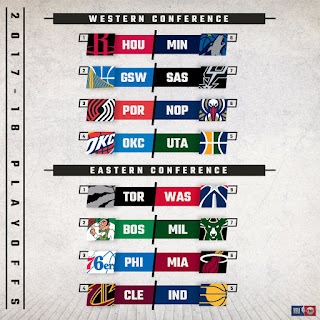 Let's take a look at the first round matchups out West. -Some would say the Rockets got the luck of the draw by facing the worst defense in the playoffs out West. I would say otherwise. 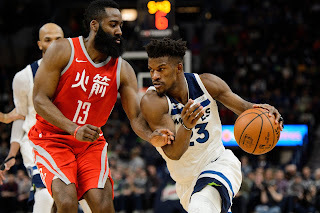 I expect the Rockets to win this series without question, but there are two elements that make this interesting: the history of the Rockets players in the playoffs and Jimmy Butler. Now for the Wolves, you want to run through offensive sets and plays that maximize Andrew Wiggins, Karl Anthony Towns, and even to an extent Jeff Teague. Minnesota has shown that mentally they aren't really playoff ready, but they are good for pulling out a surprise win in a big game. With Jimmy Butler mostly healthy and KAT motivated, that presents an early challenge for a Rockets team that has been up and down defensively this year. The Rockets took care of business in the regular season, sweeping the season series, but the loss of their best primary defender Luc Mbah A Moute could be an issue. If KAT gets hot and dominates in the post, Clint Capela might have some issues. If Jimmy Butler can make life frustrating for James Harden, things could get interesting. The X-Factor in all of this will be Chris Paul and believe or not, PJ Tucker. If CP3 stays healthy for the entire series, and the Rockets play their best defense to stop a high scoring offense like Minnesota, this should be a 5 game win with no problem. 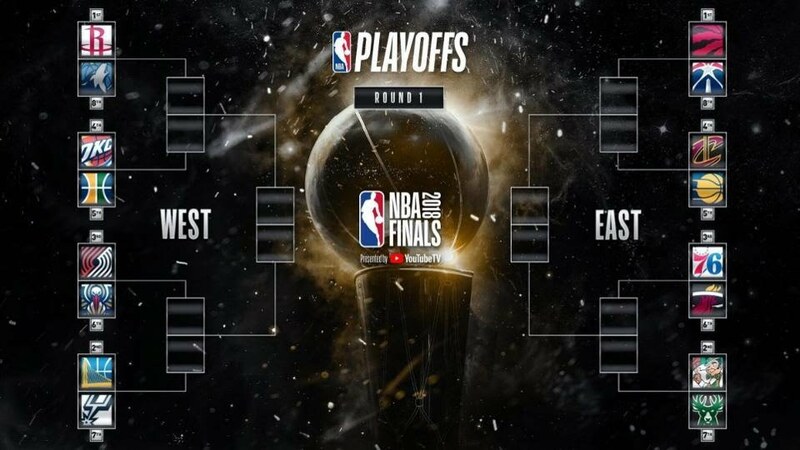 However, something leads me to believe that the Wolves will shock the world and win 2 games this series before eventually succumbing to the superior team. However, to be on the safe side, I'll go Rockets in 5. 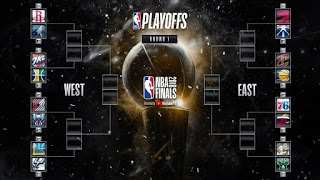 -Many people feel this is a tough matchup for Golden State. If anything, this feels like the passing of the torch that last year's series was supposed to be. Simply put, the Warriors are overall the better team with the most versatility and depth in the NBA. When they are focused and playing at a high level, no one can beat them. With no Steph Curry for this first round, some feel as if the Spurs have a shot, and if Kawhi Leonard were playing and had been playing actively for a while before the playoffs, I would easily agree. However, the Warriors have been just waiting for the playoffs this year, ready to unleash their full blown attack. Quinn Cook is going to be big and he has shown he can score on top defenses, and with him playing the role of Steph until Steph comes back, there is a huge chance the Warriors have enough talent to pull off a possible sweep. Kevin Durant, Draymond Green, Klay Thompson, David West, Shaun Livingston, and Andre Iguodala are all high IQ players who know what it takes to win an important series and that every game counts. 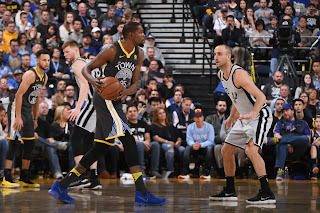 For the Spurs, they have some great talent, and amazing defense, but with the Warriors playing without Steph, they have to win a different way, and that's balancing high power offense with lockdown defense like they did during the 11 game winning streak when Steph was out earlier this season. The Spurs seem to understand that perhaps this season is a wash with the drama surrounding it and their ups and downs as a team, so for the Warriors, this will be the much needed first test to make sure they are defensively the best team they can be. The Spurs can sneak a game at home (because it is hard to win in San Antonio), but that will be all. -This is the most evenly matched series of them all in my opinion. Offensively, both teams are sound and defensively, both teams have their struggles. The Blazers have a bit of an issue with their momentum heading into this series, while the Pelicans are the exact opposite. With that being said, this series will come down to who shows up on the defensive end. Anthony Davis is actually one of the All Defense players this year, leading the league in blocks and he is a MVP candidate for sure. 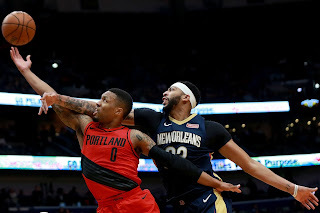 Dame Lillard has had a great season as well, and even the other pieces for the Blazers like CJ and Nurkic will have a role in this series. So, what makes the difference? Dame? CJ? AD? Nurkic? Rondo? Neither. The difference maker in this series will be Jrue Holiday, who has played amazing defense since Boogie Cousins went down and has earned every bit of his contract. If Jrue can play tough defense on Dame and CJ while contributing to the offensive end, this series goes to the Pelicans. Anthony Davis can't be guarded and the Blazers don't have an answer for a motivated AD. Will the Blazers be a first round exit again? I'll have to say yes, but only because the Pelicans will earn it in the hardest fought series this first round. -One game separates the 3rd through 7th seeds. 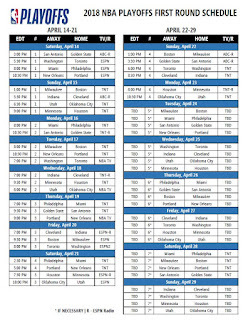 The way the seeding worked out for the Thunder is perfect, as they now have a shot to get to the Conference Finals as a 4 seed. Will the Thunder be able to overcome the best defensive team in the league? That remains the question. Truthfully, I couldn't imagine a scenario where the now focused Thunder lose in the first round and the Jazz have slightly overachieved. 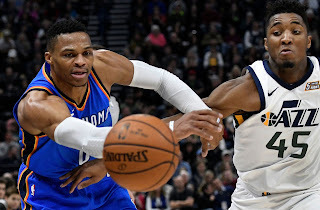 The playoffs are a different type of basketball, and I think might suit the Thunder better at this time. 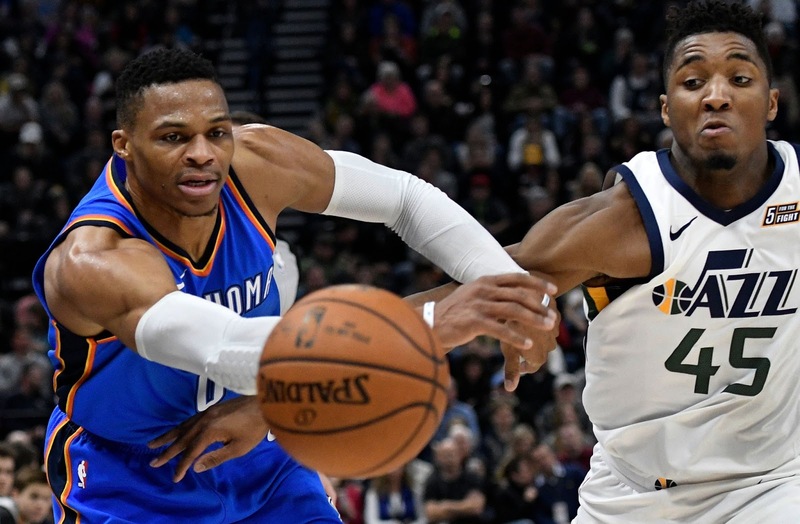 The Jazz won't go down without a fight, but the dynamic duo of Russell Westbrook and Paul George might be too much to overcome. We get to see Carmelo Anthony in the playoffs again as well and I think we'll get to see him play some of his best ball in the playoffs. Will Donovan Mitchell have a big series? That remains to be seen. Regardless, the truth is, the Jazz don't seem to have enough talent and execution to beat the Thunder here. Is it possible? Yes, but I don't think the Thunder get eliminated in the first round. I expect this to be a hard fought series however, as this playoff season is shaping up to be one of the most fun, minus the injuries.